We understand the common pain points retailers face when needing a step-change in their ecommerce strategy and tech. Our team of architects, designers, UX strategists and developers have been working with retailers for over 10 years. We are not here to replace your current monolith with a new one. We believe in technological agility and avoiding vendor lock-in. We can build you a system that boosts your ecommerce profits, improves your efficiency, and offers your customers fantastic retail experiences. Snow.io is a middleware framework that enables simple data integration. Akeneo is a Product Information Management system (PIM). 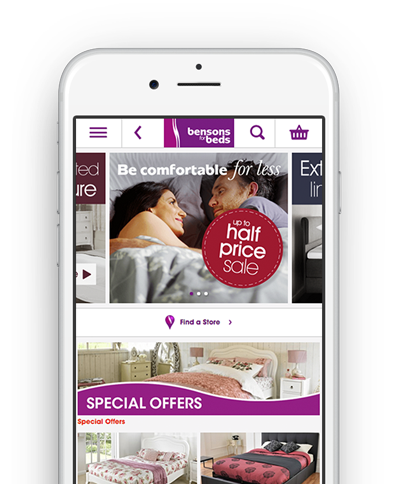 We work with the Steinhoff Group, including Bensons for Beds and Harveys, on a group-wide multichannel improvement programme including defining IT architecture, data strategy, CRO and agile development. 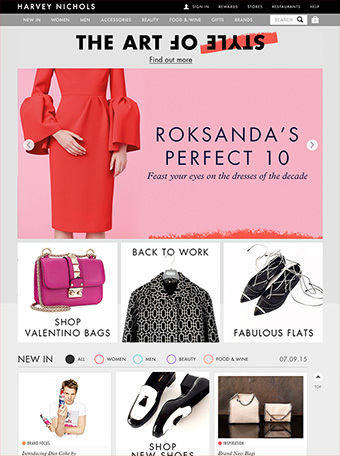 We created a solid multichannel solution for Harvey Nichols, including advanced personalisation, merchandising and a single view of stock and customer. The gorgeous mix of content and commerce resulted in the retailer’s strongest ever online sales to date on launch. Watch the video case study. 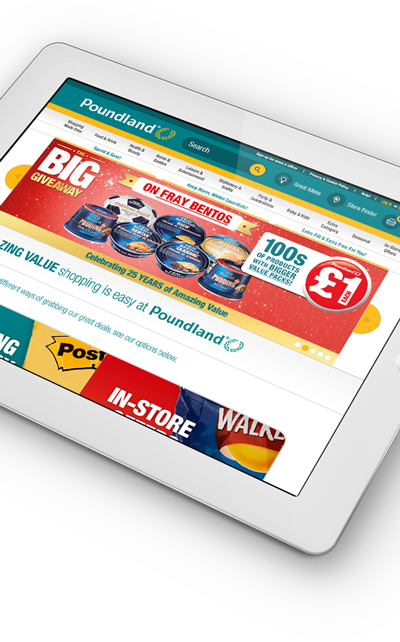 "The smoothest ecommerce re-platform my colleagues and I have ever been involved with"
We advised Poundland on its journey to become the first multichannel, single-priced retailer in the UK. The Poundland ecommerce site featured single item and bulk buy, gamification and geolocation. On launch, average order value far surpassed that of in-store. 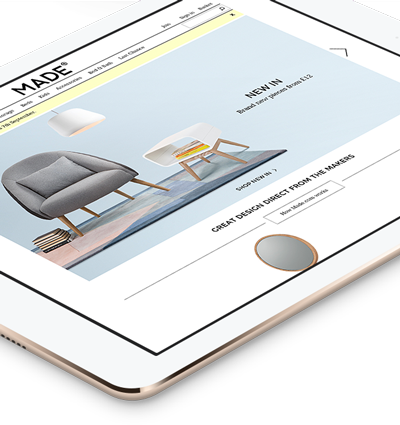 Our work with Made.com, Harvey Nichols and Poundland has earned us dozens of ecommerce awards and accolades from the likes of Retail Week, Drapers, Lovies and more.